Lent is fast approaching! Have you already been considering what you want to give up? Will it be chocolate? Fast food? Or perhaps Pope Francis has inspired you to give up the gossip . 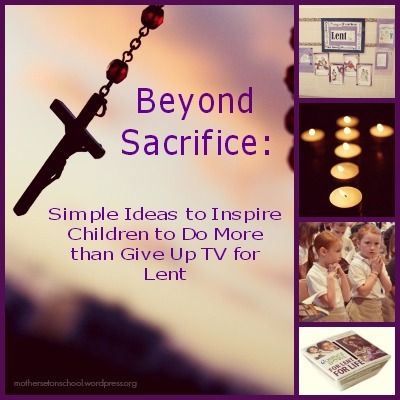 Sacrifice is one of the hallmarks of the Lenten season, and it’s one part that our children seem to pick up on pretty quickly.